Note to all concerning this website and my products... All of this is just an extension of the hobby I love. I'm not out to get rich by any stretch of the imagination. 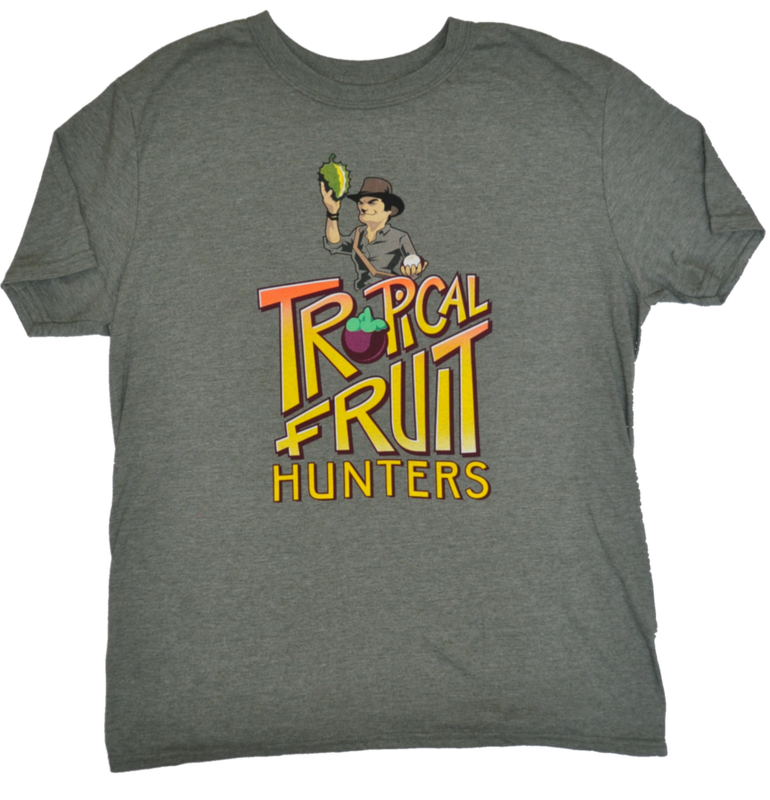 I've been to some of the neatest parks, gardens, and festivals not only in the US, but abroad as well, and I was frustrated with the lack of any tropical fruit related apparel...at least anything that I felt wasn't designed by a toddler. There was a definite void in our hobby and I hoped that others felt this way too. So I came up with what I thought were a few cool ideas to start off with and these shirts are the start. 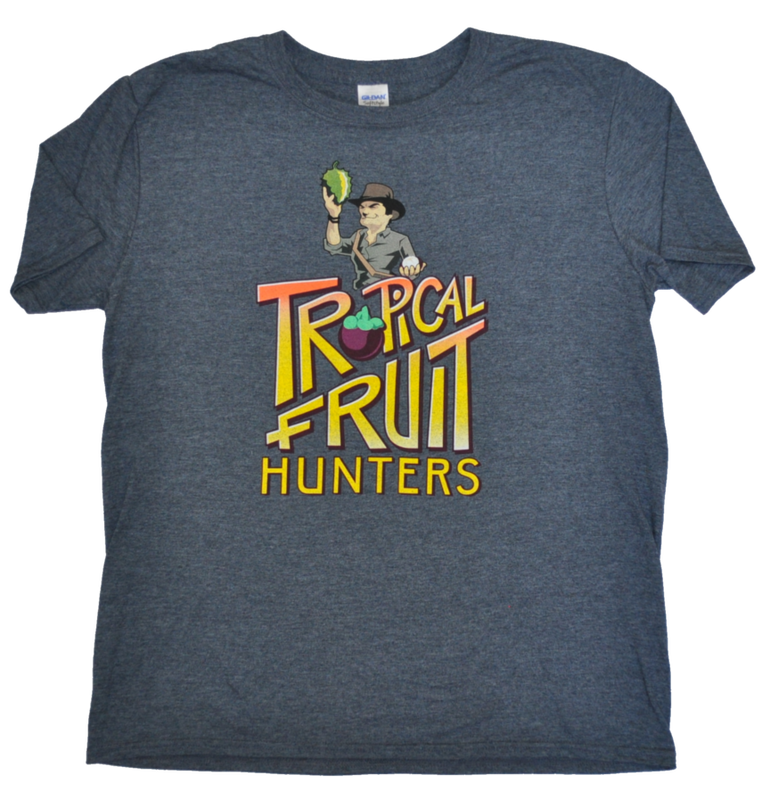 I definitely wanted my tropical fruit hunter dude on the﻿ first design as well proclaiming that the wearer of the shirt was part of a world wide group of tropical fruit hunters. I have to say that I really think they turned out great too. They may all end up in my own closet, but you know what? I'm okay with that...I at least gave it a shot. So if the shirts do well, then I'll put some other designs I have in mind into motion such as hats and a more quality outdoor, sporting shirt, These designs will be embroidered. 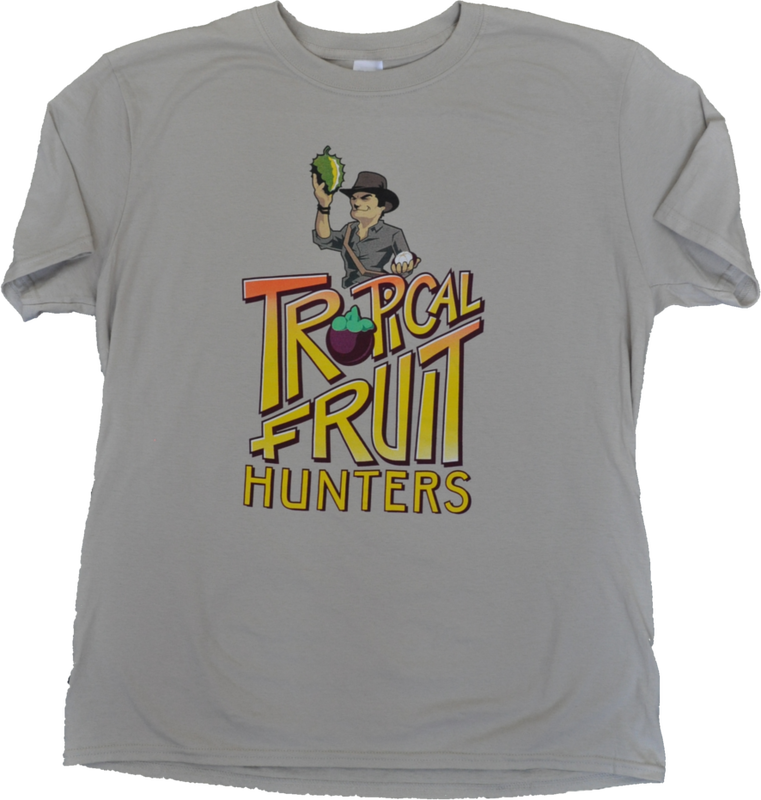 I would eventually like to feature my tropical fruit hunter dude in other designs as well...if you could only see my wife's eyes roll at this! Hats are in the design stage now and I hope to have them available soon. Please sign up for my newsletter and you will be notified as soon as they are ready. 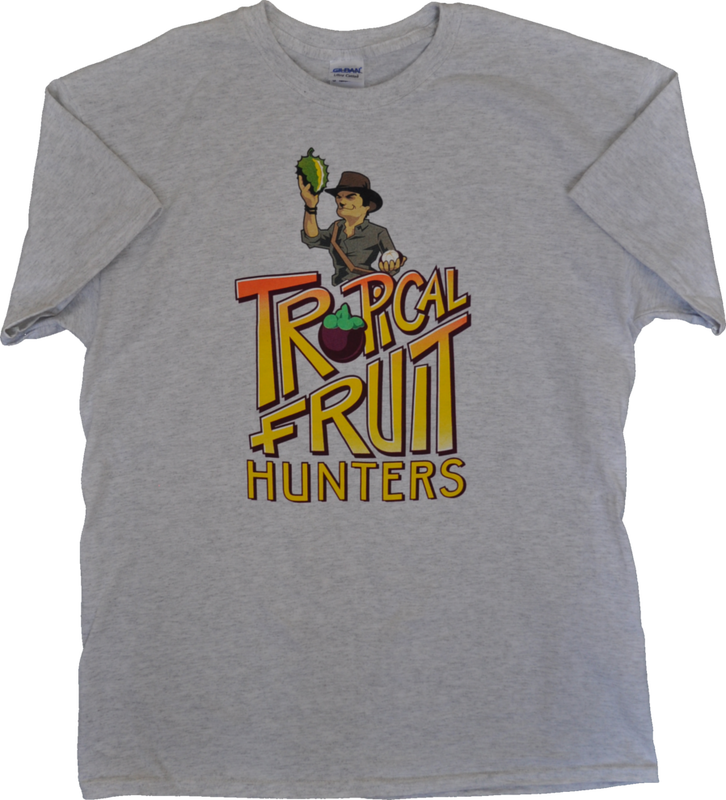 The shirts below are 100% preshrunk cotton. It is advised to wash the shirts inside out. For shipping information, please go to my FAQ page. I also want to mention that this first run of shirts are limited to Large, XL, & 2XL sizes only. I apologize if your size or color choice becomes sold out.